Mega-Container Vessel Retrofit to LNG. Shipping Heavyweight Orders World’s First Mega-Container Vessel Retrofit to LNG. 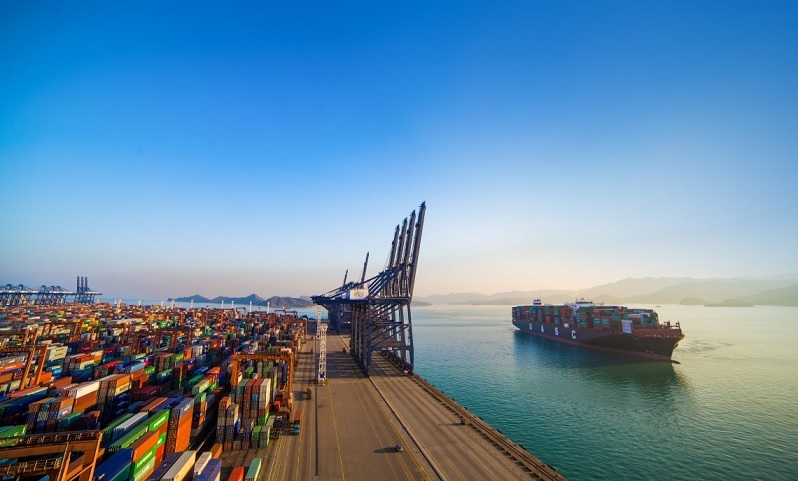 Hapag-Lloyd pilot gas-conversion leads the way for emissions reduction and decarbonisation MAN Energy Solutions has signed a contract for the conversion of a 15,000 TEU container vessel to dual-fuel operation. The container vessel MV SAJIR is owned by Hapag-Lloyd, one of the world’s leading liner shipping companies, and normally serves a route from Asia to northern Europe via the Suez canal. The pilot project will entail the conversion of an existing, HFO-burning MAN B&W 9S90ME-C engine to a dual-fuel MAN B&W ME-GI (-Gas Injection) prime mover capable of running on HFO and LNG. The retrofit will be done at the Chinese Hudong/HRDD shipyard, specialized in ship repair and conversion. The emission savings for MAN B&W two-stroke engines are significant when converting an existing HFO engine to LNG. Using LNG in the shipping industry could reduce CO2 emissions by 15 to 20 percent and sulphur dioxide and particulate matter by more than 90 percent. The Hapag-Lloyd pilot project is scheduled to take place in 2020 when the five-year old vessel will spend 90 days in dock. The DNV-GL approved gas-storage system will occupy an area equivalent to 350 containers, including the pipework between storage and engine. MAN Energy Solutions took over fuel-gas specialist company Cryo AB in 2015 and fully integrated it into its business. Under the brand MAN Cryo, the company offers systems for the storage, distribution and handling of liquefied gases. In respect to four-stroke, Jones is referring to the 2017 conversion of Wessels Reederei’s ‘Wes Amelie’, a 1,036-teu container ship that was originally fitted with an MAN 8L48/60B diesel engine. Upon conversion to a dual-fuel MAN 51/60DF unit, the ‘Wes Amelie’ reported significantly changed emissions. The vessel now meets both the Tier II and Tier III emission requirements set by the International Maritime Organisation (IMO). The retrofitting of the MAN B&W 9S90ME-C engine to ME-GI dual-fuel running is part of the ‘Maritime Energy Transition’, an umbrella term that covers all MAN Energy Solutions activities in regard to supporting a climate-neutral shipping industry.